Is this new shared-use cycle [track] a euphemism, I wonder? 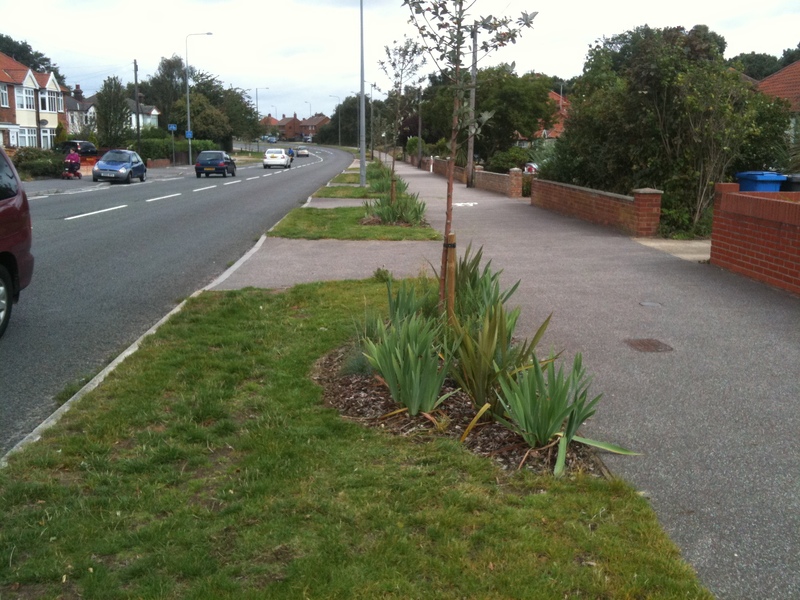 Was this previously a pavement/footway for the exclusive use of pedestrians? 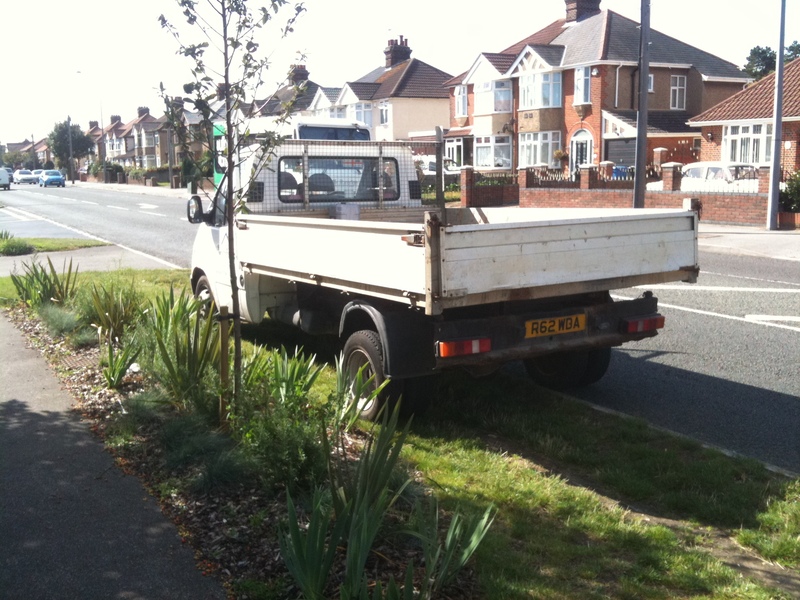 What adjustments and actions have Ipswich borough council taken to make it suitable and appropriate for shared use? Converting footways into shared-use cycle tracks is, frequently, the course of action chosen by lazy and indolent traffic engineers who can’t be bothered to make our roads safer for cyclists. Opps, sorry about the unintended euphemism which I have now corrected. What they did to ‘adjust’ the path was to dig up part of the verge and tarmac it to make it the legally required width for a shared-use path. In this instance I felt the council did a pretty good job in the circumstances and we had a good consultation with an engineer who listened. Personally I would like the speed limit to be reduced to 30 mph which would help. I do have an issue with the folk who manage the heath to the east of this road who blocked up a very useful path and also refuse to create a decent surface for the paths on the heath. If they did that then a lot of people would not need to go along the road at all. The only paths they maintain well are the ones used by the golfers.